Some of our customers prefer to customise the functionality Staff Squared has to offer. If you would like to disable certain features, follow the instructions below. 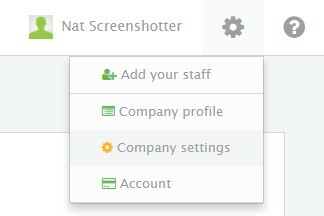 Firstly, go to the Company Settings page via the cog icon and click on the General tab. Scroll down to the Enable Features section. Here you can uncheck the boxes for any features you don't use.